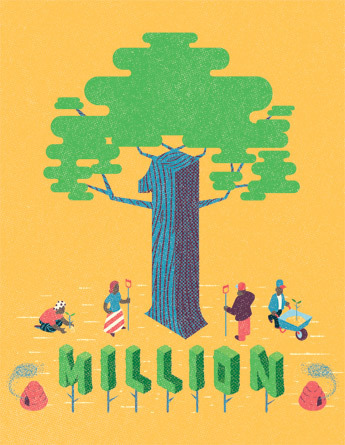 So now that Illustration has achieved its objective of planting one million trees in just five years, what next? “That’s easy,” says Harry, “we’re going to carry on planting trees because the local and global benefits are so strong. Also, I think a lot of our clients get a buzz from knowing that by commissioning our exceptionally talent artists, they not only gain significant creative advantage but are also helping to combat climate change and alleviate poverty.” You can find out more about Illustration tree planting programme here.